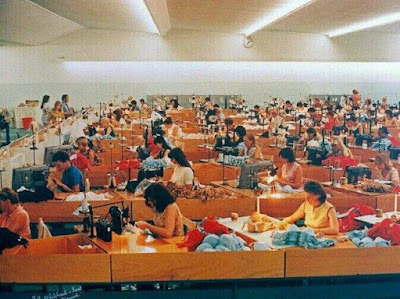 While today's post will have the usual discussion points around people and buildings, an outdated item of ladies underwear will also feature prominently. What underwear exactly? Of course - it's corsets. Put your hand up if you have never seen a corset. Leave it up if you don't know what a corset is. Just as I thought - not too many of us have a clue! 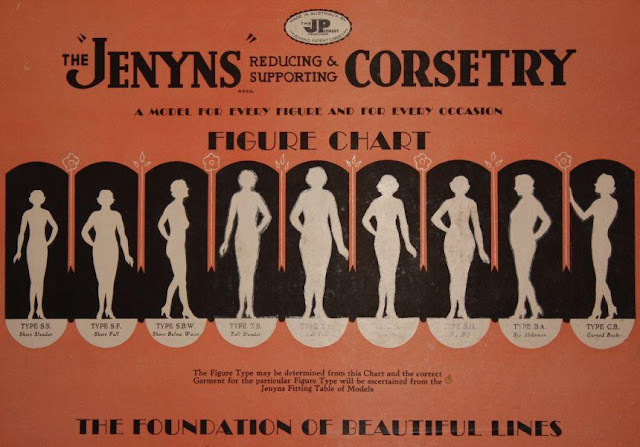 I do remember advertisements for corsets in Women's Weekly and in newspapers; also my mother had undergarments that she referred to as "step-ins" that were corsets. In the 1950s she wouldn't go into town without wearing a hat, gloves and, under a smart dress, a corset that also held up her stockings! This isn't the forum (and indeed I don't have the space) to discuss corsets at length. Suffice it to say that a corset is an undergarment for females designed to enhance a woman's figure. Some corsets were medical devices that provided support for the spine, but the majority were worn for aesthetic reasons. If you want more information than that, here is a link to a Wikipedia article and below is an advertisement that shows you what they looked like. And why is it that I am talking about corsets at all? Well, there are a couple of buildings that we are looking at today that are closely involved with the manufacture of corsets. And there is one rather extraordinary woman involved, too. 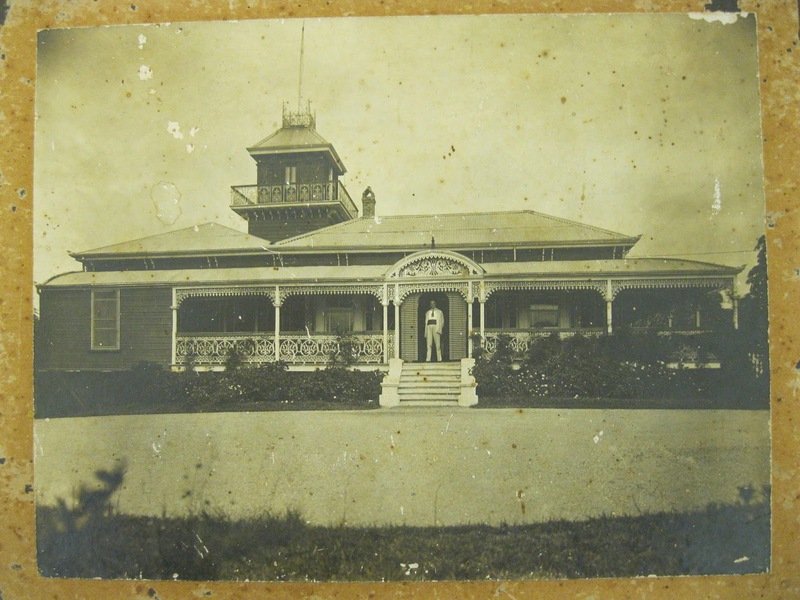 Firstly this building - a house on Ipswich Rd at Annerley. Unfortunately it no longer exists, but in its day it was quite spectacular. The photograph dates from 1910. The house was named Huntingtower, and between 1920 and 1958 it was the home of Mrs Sarah Ann Jenyns, who was a Brisbane corset manufacturer. The man at the front door is William Hood, a former owner who is not connected to today's story. Sarah Jenyns (née Thompson) was born in New South Wales in 1865, married Ebenezer Randolphus Jenyns in 1887 and moved to Brisbane in 1896. They had eight children, and things were tough for this large family initially. Ebenezer made cutlery and surgical instruments, but preferred to expend most of his energy preaching the gospel as a part-time evangelist. 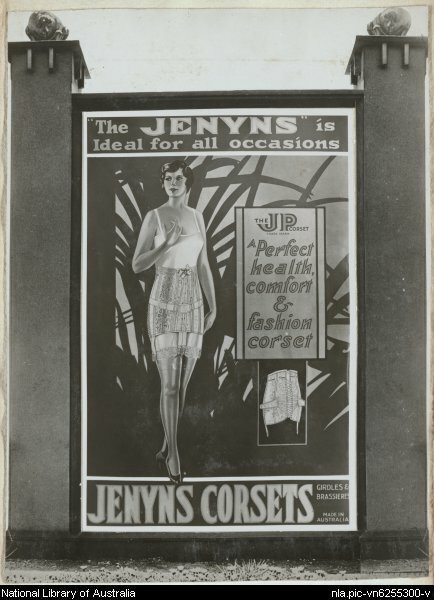 At the start Sarah assisted in her husband's business but in 1911 she commenced her own business making surgical instruments, corsets and belts. In fact Sarah patented a series of corsets designed for various body shapes and she travelled overseas marketing them. And this is the second building - it was designed by architects Chambers & Powell, built for Sarah Jenyns in 1916, and still exists on George St in the CBD, right next to the BAFS Building. If you look closely you might see the initials JPC in a logo on the pediment - they stand for Jenyns Patent Corsets, Mrs Sarah Jenyns's corset manufacturing business. This addition to her business was finalised after her recovery from a stroke. Although her business was moving along smoothly, the same cannot be said about Sarah's family life. Ructions developed through the 1920s as Ebenezer handed his business to son John and Sarah was joined in her business by another son, Herbert. It appears that Ebenezer was more interested in preaching on street corners than running a large business, but Sarah was able to grow her own business into a leading company that survived for almost a hundred years. Some of the children were aligned with their father and others with their mother. During WWII Jenyns had large contracts with the army and navy, and in 1946 Herbert became managing director. Unfortunately, not long after, Sarah's health was affected by dementia and she was placed under a protection order. The divided family was to cause further problems - disaffected family members prompted the Public Curator to initiate proceedings against Herbert, alleging undue influence over his mother during a business transaction. The case was won by Herbert on appeal, and it became a precedent in the areas of undue influence and unconscionable conduct. Herbert continued to run the business and branched into foundation garments and underclothing. The Jenyns factory at Ipswich employed over 1100 machinists at its peak. In the 1960s Herbert, by then a millionaire, sold the business to the well-known Triumph brand. Sarah died at Huntingtower in February 1952. But that's not the end of her story. 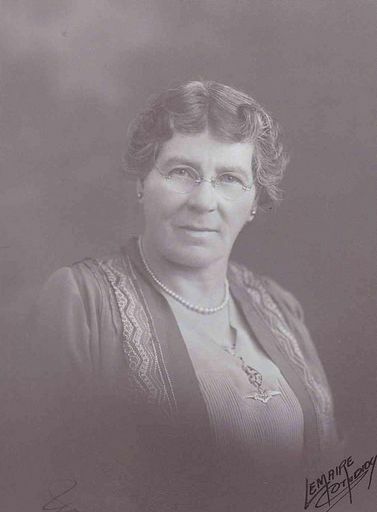 The early hardships she had experienced forged an independent spirit with a can-do attitude making her one of the few significant business women of the early 20th century. She created a business involving four generations that lasted nearly 100 years and a product that continues to be produced in Brisbane today in line with her original patent. Sarah Jenyns will always be remembered as a courageous, astute and creative business leader. Great story. I'm sure there were many women as courageous as Sarah during the early 20th century, but for many reasons not as successful. Would that their stories could be celebrated too. I enjoy reading biographies and this one was good as it is about a local woman. Well done. Must ceck out the building one day.